The new XCOM game isn't the same as the old X-Com games. Some people are cool with this, while others are not cool with this. If you're in the latter group, you should check out Xenonauts, an upcoming indie PC game. What&apos;s The Big Deal About A New XCOM? It is, essentially, X-Com. 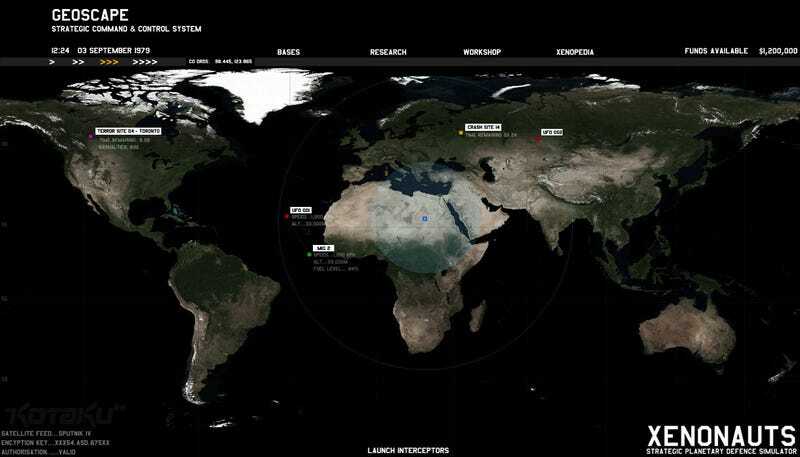 Or, as the developers Goldhawk Interactive call it, a "planetary defence simulator". Only it's being made now. Similar to 2003's UFO: Aftermath, it's X-Com in everything but name, as you juggle the strategic management of Earth's defence forces with tactical command of its troops. And yes, it's turn-based tactical command. Other features Goldhawk are boasting at this stage include the tactical management of your aerial forces, the presence of both civilians and AI-controlled allies on the battlefield and jetpacks. It is of course PC-only (at the moment, anyway), and the British devs are looking to have it out by the end of the year. You can read a little more at the game's official site. I like this. The crux of my post yesterday was that a publisher like 2K, and developers like 2K Marin, couldn't afford to make a game like this. But a small team of passionate enthusiasts? That's exactly the kind of people can make a game like this, and we'll be keeping a close eye on Xenonauts as the year rolls on.